P2	P3 What are Natural Resource Charter precepts? “Burmese rubies” are world renowned, commanding record sale prices on international markets. However, the citizens of Myanmar receive only a fraction of this wealth: relatively little revenue from rubies appears to be contributing to Myanmar’s national budget. Potential reasons for this include the combined effects of widespread corruption and cronyism; informal and personal network-based industry practices; a lack of value-adding expertise; and a policy environment in which many regulations are either notably absent or prohibitively burdensome. Tax evasion is ubiquitous, and one estimate suggests that 60 to 80 percent of Myanmar’s gemstones are never formally declared. While discussions on Myanmar gemstone sector reforms have thus far largely focused on jade, little is known about the ruby sector and its role in the country’s economy. This background paper consolidates information on the ruby industry and identifies linkages to broader challenges of peace and reform. As such, it aims to contribute to the emerging debate within Myanmar on the conflict-sensitive management of the gemstone trade and its revenues, as well as discussions of responsible sourcing for all of Myanmar’s resources. Rubies and other gemstones sit in trays at a Myanmar gem emporium. Section I summarizes information about the main ruby production sites in Mogok and Mong Hsu. Section II briefly outlines the governance structure for gemstones in Myanmar, including taxation, the role of the state-owned company Myanmar Gems Enterprise, and steps toward reform. 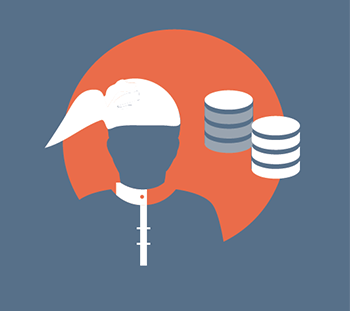 Section III explains the role of the military and armed groups in the ruby sector, through mine ownership, the historical practice of concession granting in exchange for ceasefires, and other channels of influence. 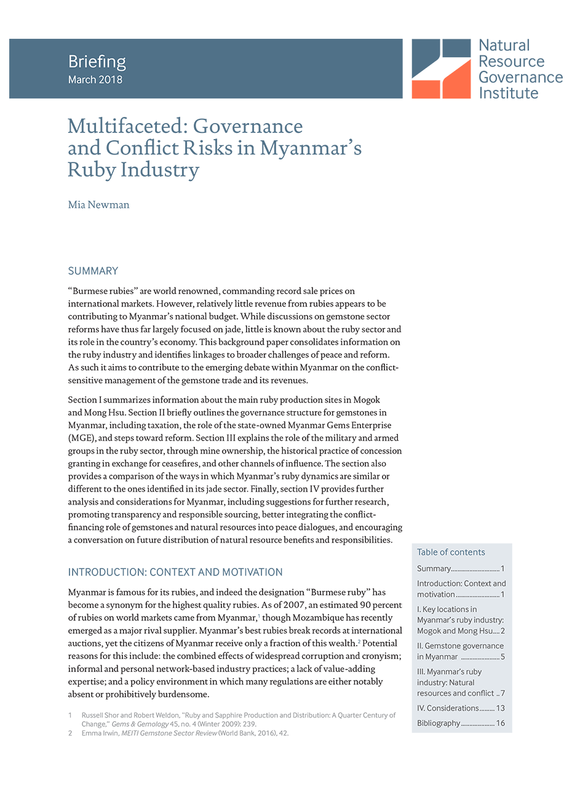 The section also provides a comparison of the ways in which Myanmar’s ruby dynamics are similar or different to the ones identified in its jade sector. Finally, Section IV provides further analysis and considerations for Myanmar, including suggestions for further research, promoting transparency and responsible sourcing, better integrating the conflict-financing role of gemstones and natural resources into peace dialogues and encouraging a conversation on future distribution of natural resource benefits and responsibilities. This paper contributes to NRGI’s engagement to support Myanmar government and other stakeholders’ efforts to reform the gemstone sector. It builds on a previous briefing outlining key recommendations based on international experiences documented in NRGI’s Governing the Gemstone Sector: Lessons from Global Experience.